Kathryn Kaye is one of those artists in the New Age genre that is instantly recognizable. If you have any familiarity at all with this type of music you will understand where I am coming from. I have covered several of her releases and I always anticipate a wonderful listening experience. Over the years she has obliged. 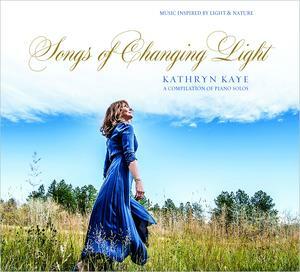 With Songs of Changing Light (A Compilation of Piano Solos) she selects fourteen of her favorite tracks covering the time span from 2011 to 2017. The natural world that surrounds her gives her divine inspiration to create beautiful music. With this compilation she has stripped away any additional instruments that were on the tracks originally. This will give each individual listener the opportunity to hear the stand-alone beauty of the ivory keys in all their glory. With the silky touch of Kathryn, you get some of the best examples of her artistry on this CD. When I hear this music, it sounds to me like it is an extension of the individual delivering the music. Only an enlightened and spiritual person can create such beautiful sounds with one instrument. This woman is one of those with the gift. It flows through her soul to her fingertips, then the magic begins with the manipulation of the piano keys. Each track is a separate testament to the natural talent of an inspirational artist. This music is very elegant, and ultimately it relaxes your entire body, then the mind will follow. It is a simple recipe for wellness of the body, mind and spirit. 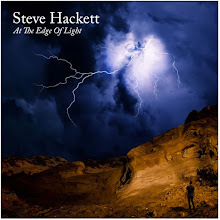 Songs of Changing Light is a must have collection of tracks that any music lover could appreciate. If you do enjoy instrumental piano music, this is a real gem.